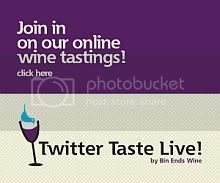 Hey folks - a reminder for you that Twitter Taste Live is happening again tonight at 8PM ET. This round will be for charity, as we will be drinking and reviewing the wines of Humanitas! (details available here).